Division patch 1.7 added many things, but a smile was not one of them. “More is more” must be the mantra of the makers of The Division, Ubisoft’s fun but flawed post-disaster shooter that has somehow not collapsed beneath the weight of the latest mound of content added to it. Less really would be more, and probably will be when Ubisoft gets around to releasing a sequel that starts over with a fresh foundation. The Division has become bloated thanks to piles of downloadable content, patches and the developers’ 18-month chase to satisfy a demanding fan-base. The game was already bulging with good and bad ideas from its first year of content, expansions and fixes. With its new 1.7 patch this past week, they’ve added so much more. Before 1.7, the game already had…. The free addition of “High Value Targets,” or named enemies that finally gave players who enjoyed roaming The Division’s open world but had finished the story something interesting new and interesting to shoot. That was apparently not enough stuff. This week with the 1.7 patch, they added…. If you are confused or overwhelmed, yeah, I was too. If you are intrigued and want to try the game, same. I went back into it this week and found myself bewildered and bemused, even while I was having a good time. The Global Event happening for the next few days is an “outbreak” which somehow makes it so that headshots on enemies cause poisonous splash damage to enemies near them. This immediately makes even the average Sixth Avenue shootout more interesting, as it incentivizes a different way to take on enemy packs. More interesting, several of the game’s missions have been tweaked to operate under an escalating offering of three outbreak conditions. The most severe causes players to lose health when enemies get too close. That Critical Outbreak condition also allows co-op players to get one-hit-kills if they headshot an enemy that another player has marked. The game’s developers have discussed other possible global events, like one that would make players do less damage if they’re far from enemies and more if they’re close. 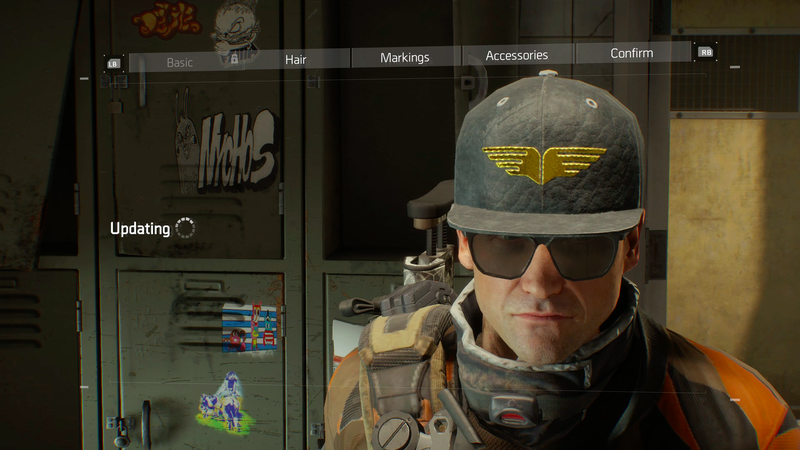 The Global Event spreads across the most of The Division’s modes, allowing players who prefer the competitive Dark Zone or co-op missions or solo roaming to all gain purple Global Event points that earn them Global Event lootboxes. Of course that’s what you get, because lootboxes have become The Division’s answer to everything. Max your character but still want to get something for the enemies you kill? Each kill will help fill a meter that doles out lootboxes. Those aforementioned 500+ Commendations? 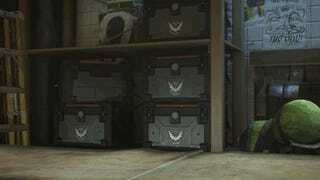 Some of them reward the player with Cypher Keys or Cypher Key fragments which are used at a new vendor added in patch 1.7 in order to purchase new lootboxes called Encrypted Caches. 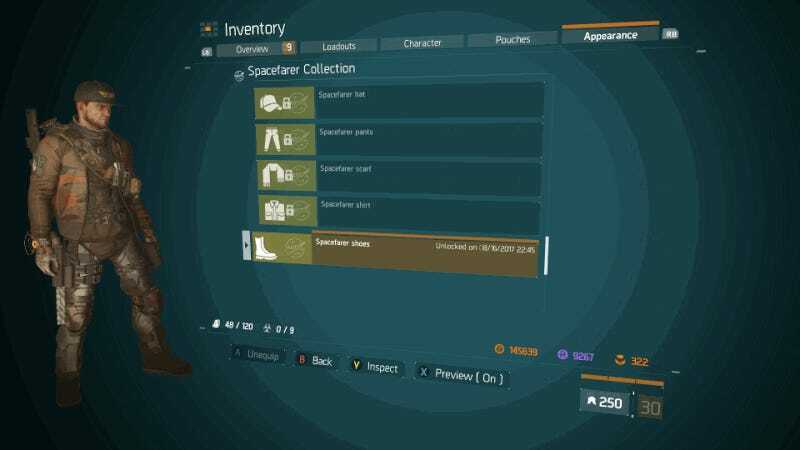 To play The Division is to be marching inexorably toward your next lootbox. Then then the next, and the next after that. Hmm... I’ve got eight keys, so I can open eight lootboxes... or I could just buy 40 lootboxes if only I had 4000 premium bucks. Should I? No. Nope. Not doing that. I’m going to get my keys by playing the game. To play The Division is also to climb through tiers of chores to get the thing you want. If, say, you were intrigued many months ago about the prospect of tracking down some High Value Target enemies, you’d first have to go to an in-game safe-house, take on a few Search and Destroy missions, collect intel points as a reward and then spend an escalating amount of intel on an escalating array of High Value Targets. There are now new ladders of tasks and chores. Thanks to 1.7, there’s an astronaut outfit in the game, but to get all five pieces, you have to complete five other new ensembles, the parts of which are obtained semi-randomly through the aforementioned Encrypted caches, which can only be opened if you have Cypher Keys, which you get from earning some of the 500+ Commendations or other regular gameplay or by spending real money. Hope you didn’t want to dress up as a spaceman too badly. Perhaps more is not, in fact, more. The Division is mostly fun right now, and arguably the best it’s been even with how messy it’s become. Over the past few days, I did some co-op missions at varying severity of Outbreak conditions. I found some missions tedious, as the game still tends to drive you into long climactic shootouts with bullet-sponge enemies, but the moment-to-moment cover-based shooting still fees very good and most, shorter encounters are pleasing. As I played, I roamed the open world aiming for headshots because the Global Event parameters encouraged that, and I’d enjoy trying the game again when the next Global Event tweaks the rules again. The Division now feels like a lab experiment that will soon be cast aside in favor of a fresh sequel. Those of us who enjoy loot shooters are probably going to be playing Destiny for the next few months, not this game. But what we play of The Division may offer some guidance for what we can expect in The Division 2. I’d like to play a game like this with constantly changing global conditions. I’d like to still have an optional survival mode. I’d like to see a Dark Zone where I could have a reasonable chance of having fun solo. Hell, I’d be happy to receive a steady supply of lootboxes, though I’d prefer there only be one type instead of three or four or five. As admirable as Ubisoft Massive’s commitment to post-game support has been, they’ve probably added too much at this point. There’s a lot of good in there, but it’s been mixed with some development detours and a lot of jerry-rigged fixes. They’ll almost certainly benefit from starting over. For now, it’s fun to test it all out and to imagine how, given all that they’ve doubtless learned, they can do better next time.